I have recently discovered epoxy resin and I am hooked! The possibilities are endless. 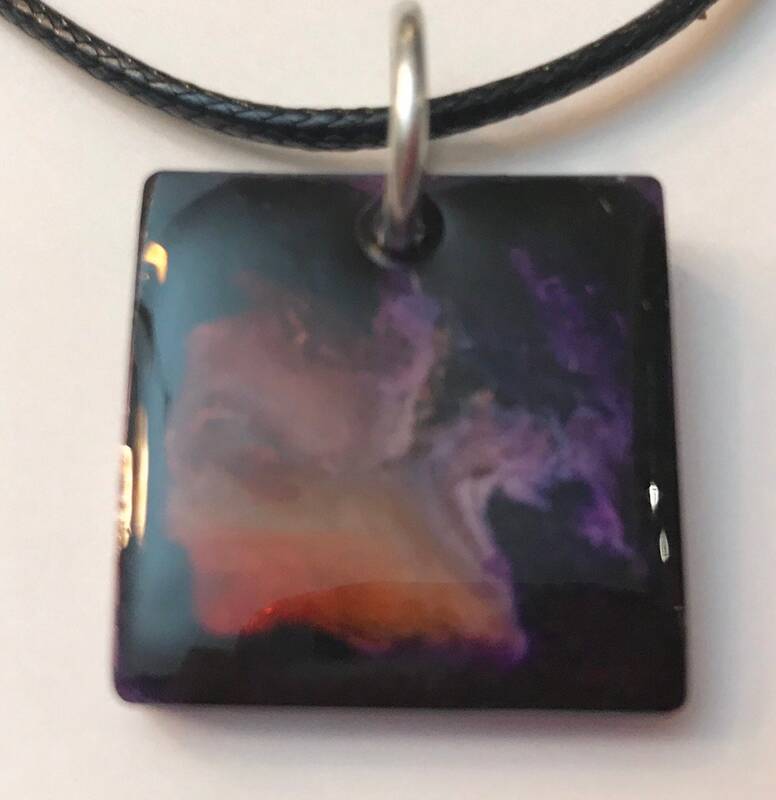 The paint is alcohol ink mixed with epoxy resin. It is on a 16 inch waxed leather cord with a lobster clasp.